Damn! 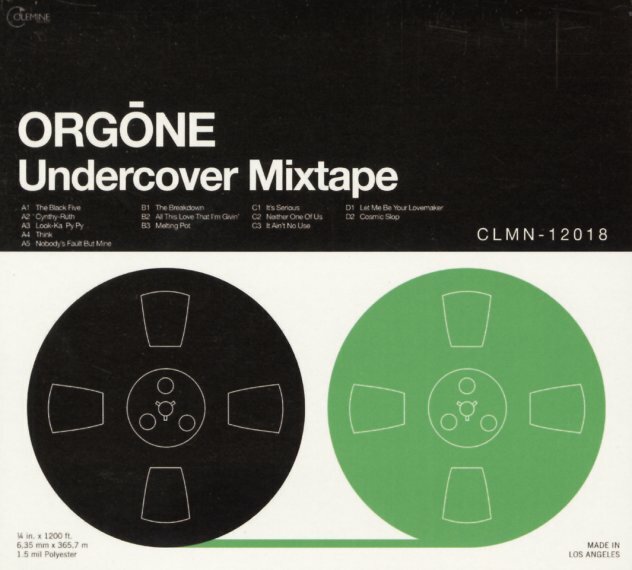 Orgone just keep getting better and better – to the point where we might almost say that there's no difference between the strength of the group's sound and all the funky 70s acts that have inspired their music! The instrumentation and production are right on the money throughout – and speaking of inspiration, the group pay tribute to some of their heroes – by taking on tunes by The Meters, Funkadelic, Rufus Thomas, Booker T & The MGs, and many others – but all at a level that makes the tunes completely their own. With Colemine on hand to co-present the record, there's a definite love of heavy funk in the whole production – both on the soulful vocal cuts, and the album's great instrumentals. Titles include "The Black Five", "Cynthy-Ruth", "Think", "Nobody's Fault But Mine", "Breakdown", "Melting Pot", "It's Serious", "It Ain't No Use", "Cosmic Slop", and "Let Me Be Your Love Maker". © 1996-2019, Dusty Groove, Inc.